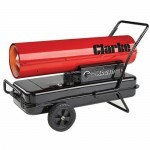 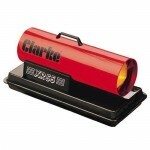 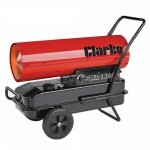 Heat your warehouse or industrial unit space with one of these superb quality Clarke Paraffin / Diesel fired space heaters. 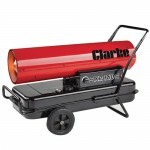 Probably the cheapest and fastest way to heat large indoor areas such as factories, workshops and garages or even as a greenhouse heater. 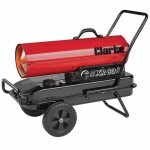 Using either diesel or paraffin fuel these electric driven turbo fan heaters will quickly raise temperatures to a comfortable level.